Simply giving your lawn water is not enough to keep it green and healthy all summer long. In fact, improper watering techniques could mean you’re doing your grass more harm than good by over or under watering. Review the following tips to ensure you’ll keep an attractive lawn this summer by following correct watering practices. One of the most common watering mistakes homeowners make is watering their lawns at the wrong time of day. When you water your lawn in the morning, the water has the chance to soak into the root system and dry off of the grass blades before evening, when the pests come out. In contrast, homeowners who water in the afternoon are not exposing their lawns’ roots to enough moisture because it evaporates away too quickly. Watering in the evening can be equally detrimental to the health of your yard because the damp grass will attract all of the disease-carrying pests that come out after dark. Water in the morning before the hot summer temperatures kick in for a healthy lawn this summer. Your grass cannot stay healthy without a solid root system, and both over and under watering will compromise this. When you water too much, the soil and roots can’t absorb the moisture quickly enough, and you end up drowning the root system. Your lawn needs a deep, solid root system in order to stand up to the foot traffic and weather events it is exposed to on a daily basis. Under watering results in the growth of a shallow root base, which means your grass will not have the strength to stand up to much, it will generally be drier, and it will be more susceptible to insects and disease. Proper lawn care is not as easy as it looks. Even a simple thing like watering your grass requires a knowledge base that many homeowners simply don’t have. That’s why one of the best decisions you can make for your lawn is to trust your irrigation needs to lawn care professionals. A professional lawn care service will have the experience and knowledge needed to keep your grass green and healthy. 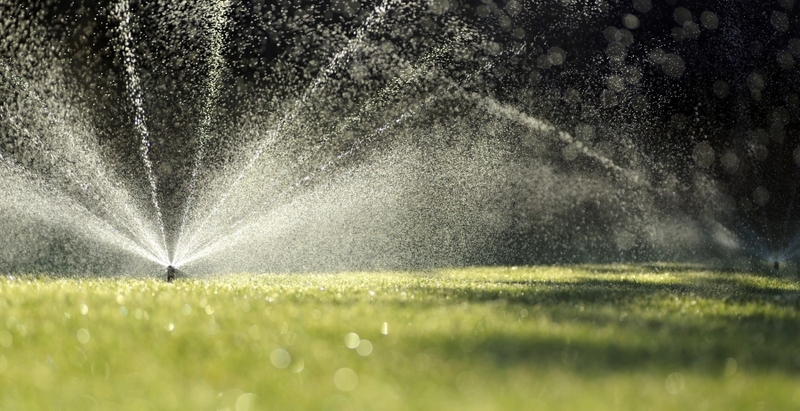 The lawn care experts at Egypt Creek can handle all of your irrigation installation and maintenance needs. Our automatic watering systems are designed to provide our clients’ lawns with just the right amount of water. In fact, you’ll actually use less water using our system than you would watering with a hose. We guarantee our sprinkler system installation services, provide seasonal adjustments, and provide all of the activation, winterization, maintenance, and repair services you could possibly need. Trust your irrigation to Egypt Creek for unbeatable lawn care and a healthy lawn all summer. Be sure to remember these tips when you’re watering your lawn this summer. If you’d like to learn more about Egypt Creek’s sprinkler system installation and maintenance services, please call or contact us online.